Good shows in Las Vegas are a dime a dozen, great shows, however, are a whole other story. Beatles LOVE at the Mirage is one of the greats! 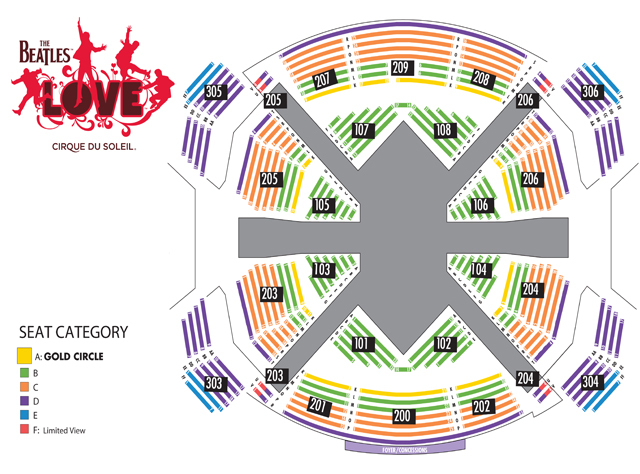 A one-of-a-kind experience, LOVE celebrates the music of the Fab Four set to the artistic mastery of Cirque du Soleil. Produced by the Beatles original musical director, Sir George Martin and his son Giles, LOVE takes audiences on a magical trip through the songbook that forever changed the music industry. Using original tapes from Abbey Road Studios to remix some of the band’s greatest hits, including “Yesterday,” “Strawberry Fields Forever” and “All You Need is Love,” the masterful score sets the stage for visually stunning production. LOVE’s custom-built stage features 360-degree seating, high-definition video projections and state-of-the-art surround system giving audiences a totally immersive experience. Clips of the actual Beatles play on 100-foot screens throughout the 90-minute show, while more than 60 international performers, acrobats and aerialists create an awe-inspiring narrative of the early days of the Beatles to the pop-culture phenomenon known as Beatlemania. Get your Las Vegas Beatles LOVE tickets and be Inspired by the spirit of the Fab Four as created by Cirque du Soleil. Not just another Vegas Beatles tribute act, The Beatles LOVE is a visual and musical masterpiece that will make you realize all you really need is love … and Las Vegas Beatles LOVE tickets to make your vacation experience one you won’t soon forget! Seating is assigned as next best available in the category purchased.